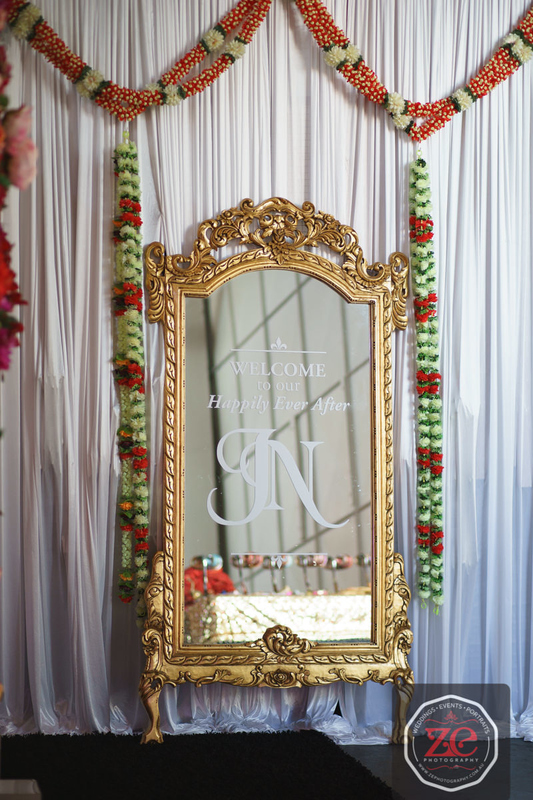 Welcome to the Bollywood Sangeet Night of Jessica & Navin as part of their 4 day celebrations. 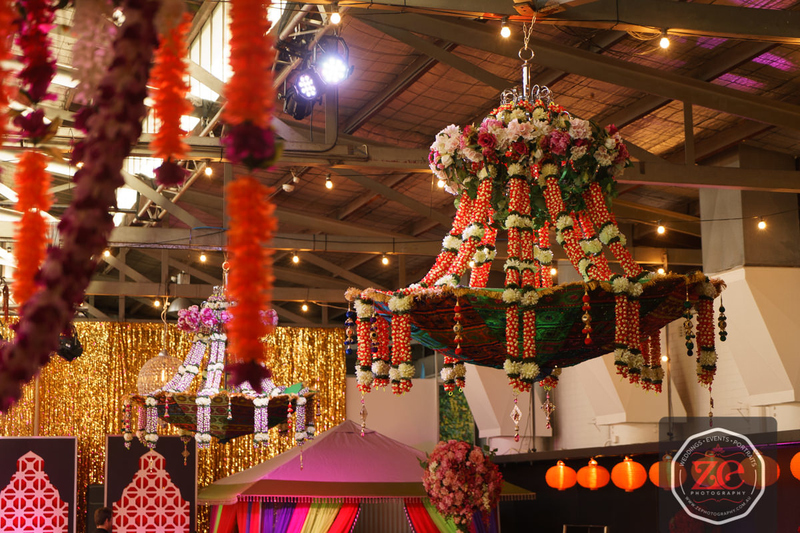 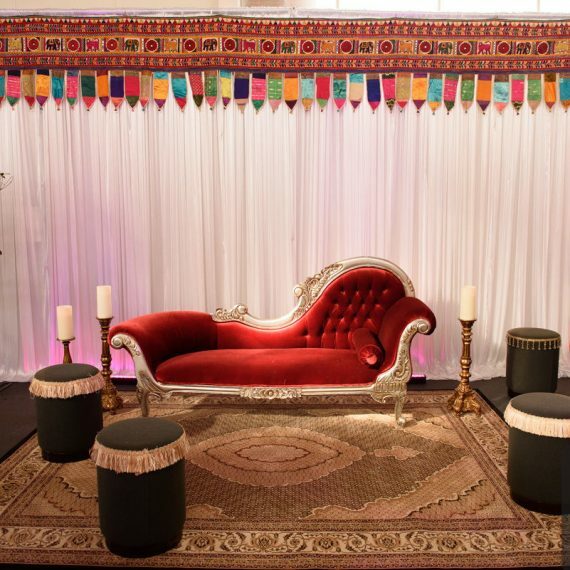 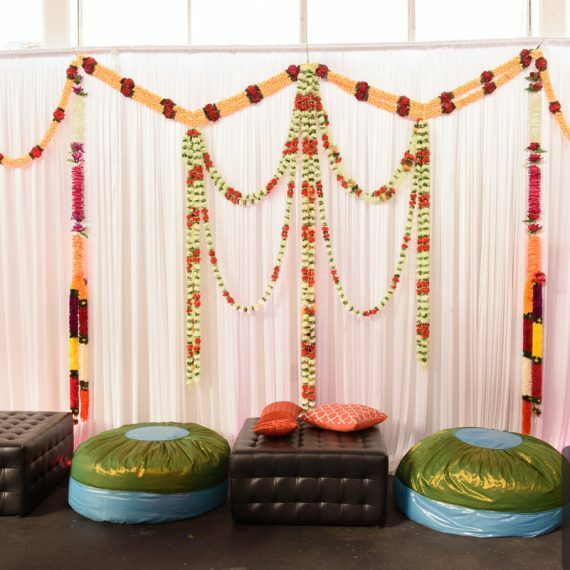 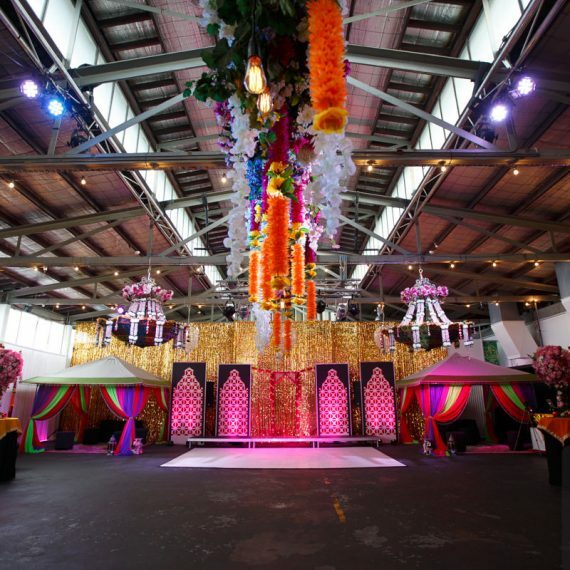 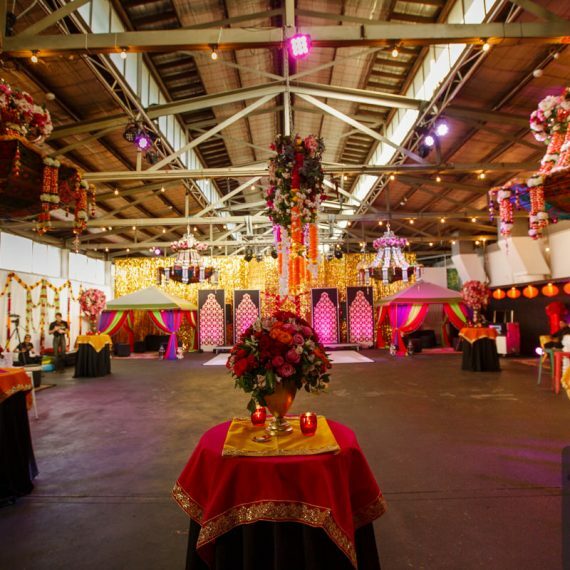 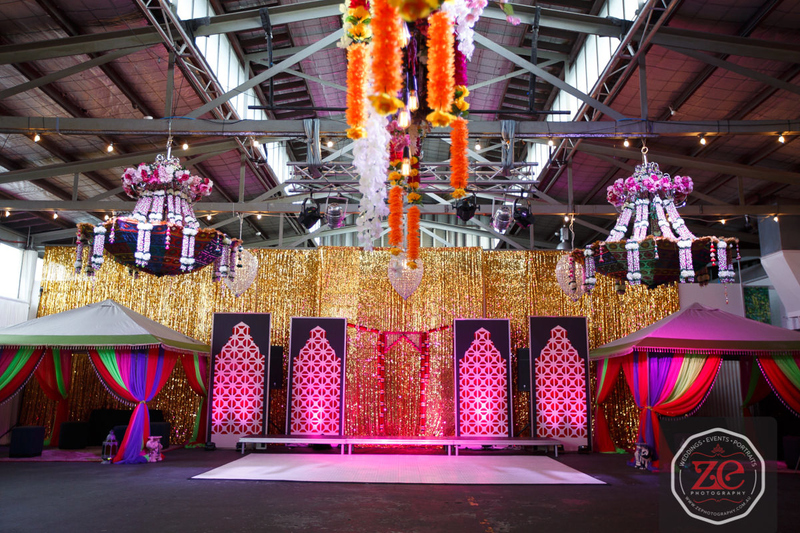 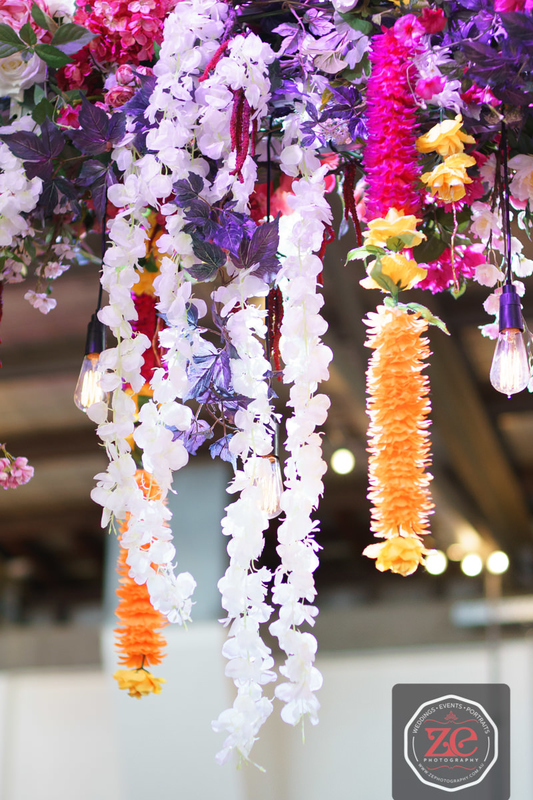 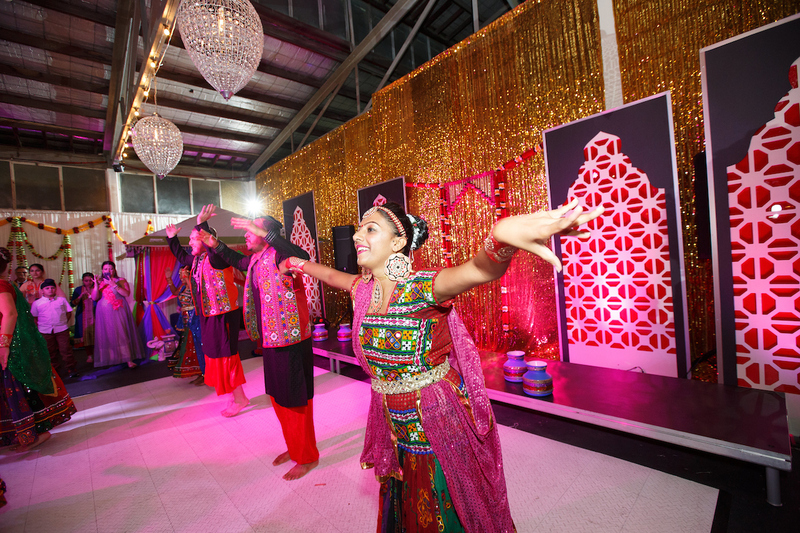 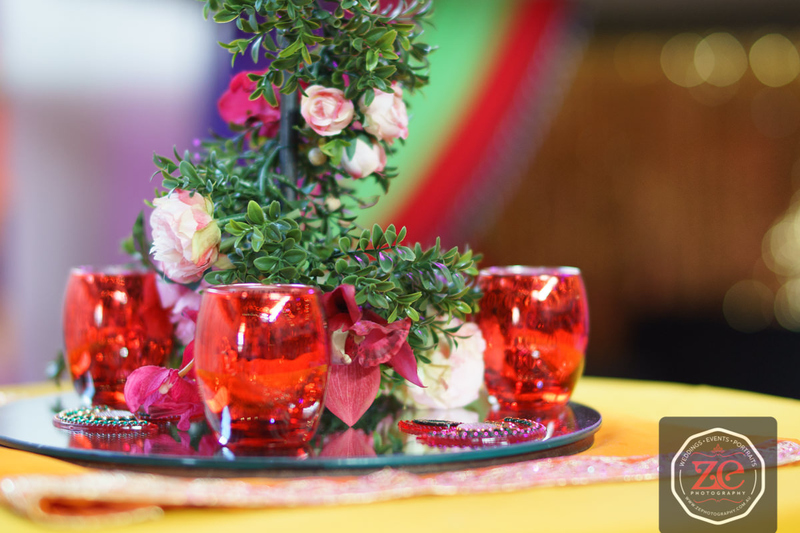 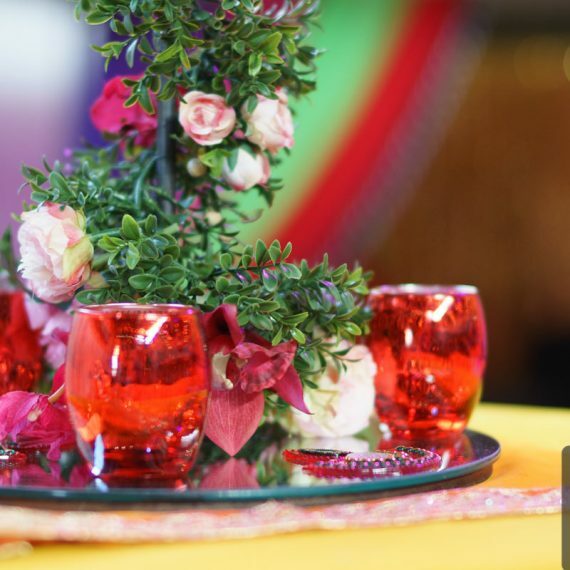 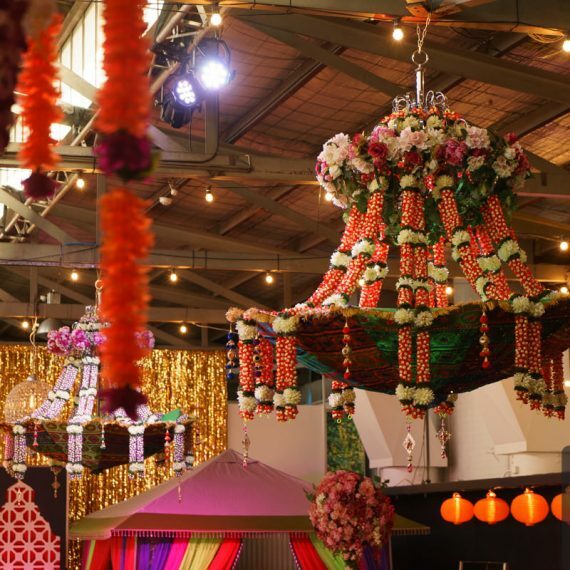 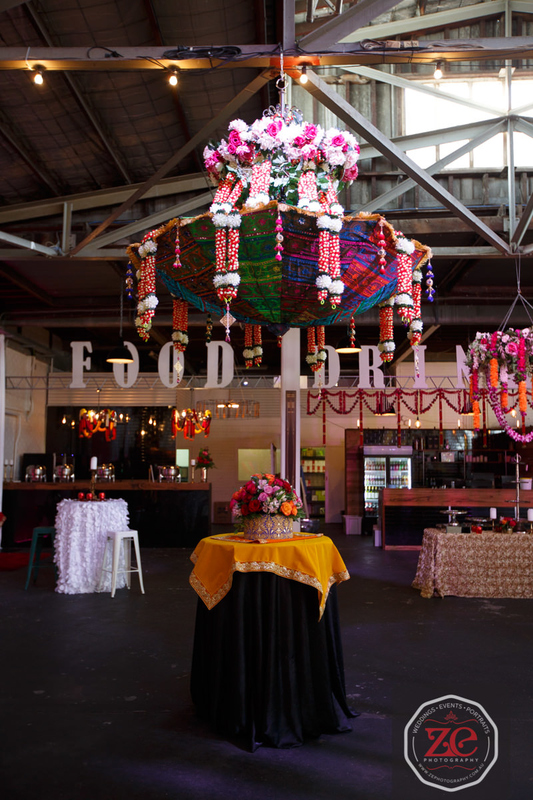 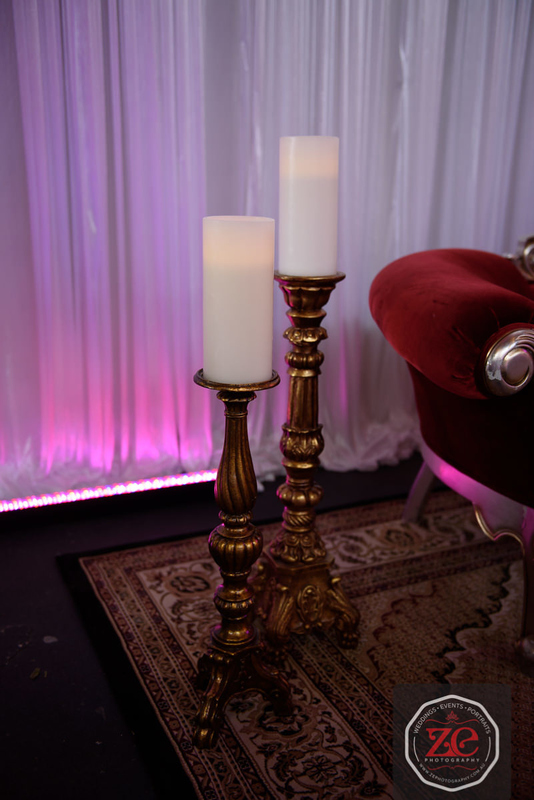 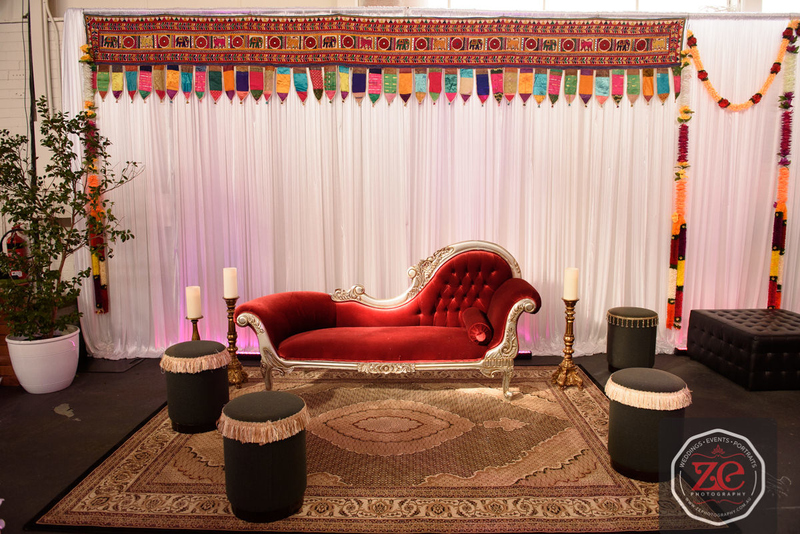 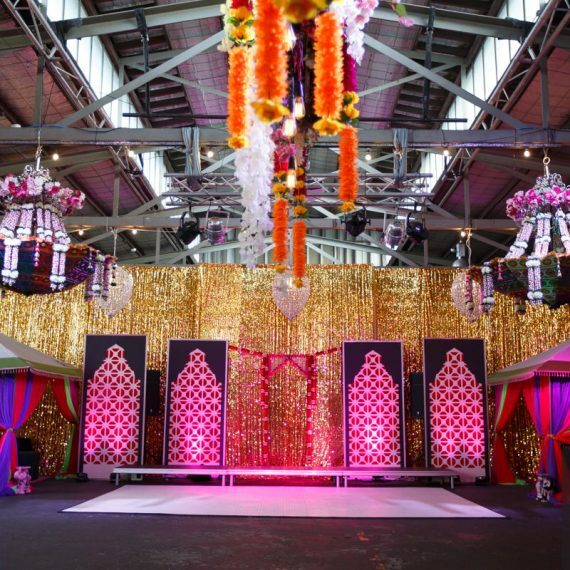 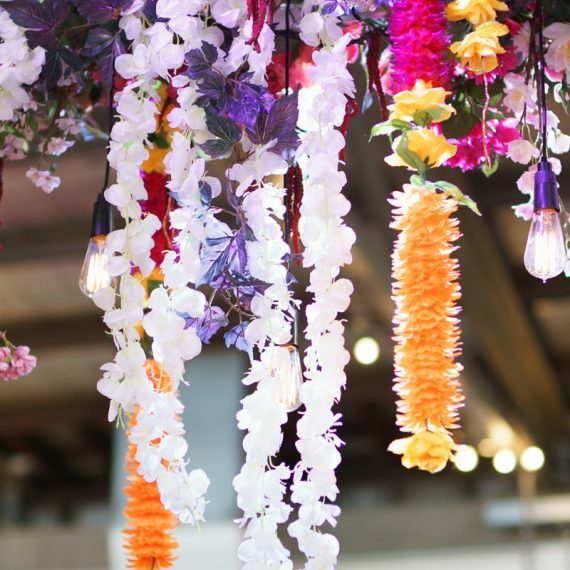 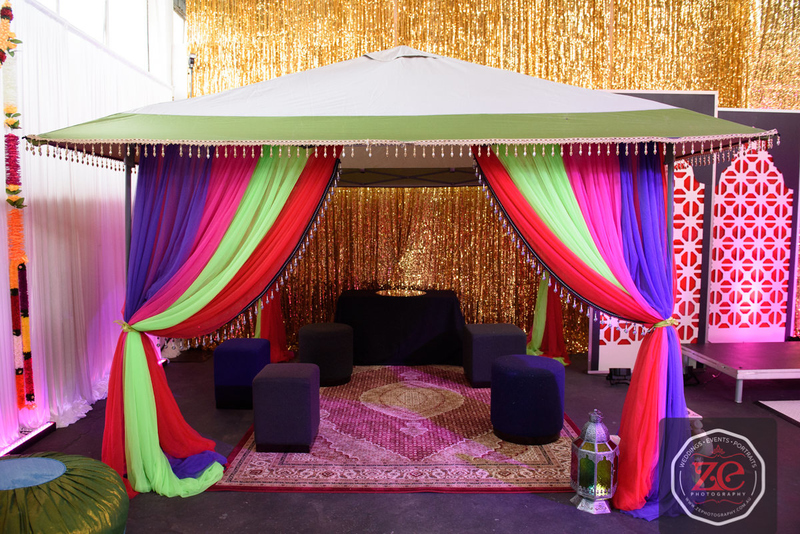 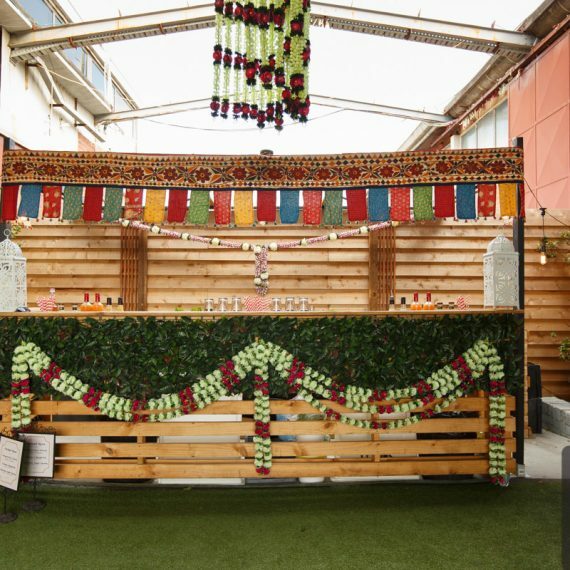 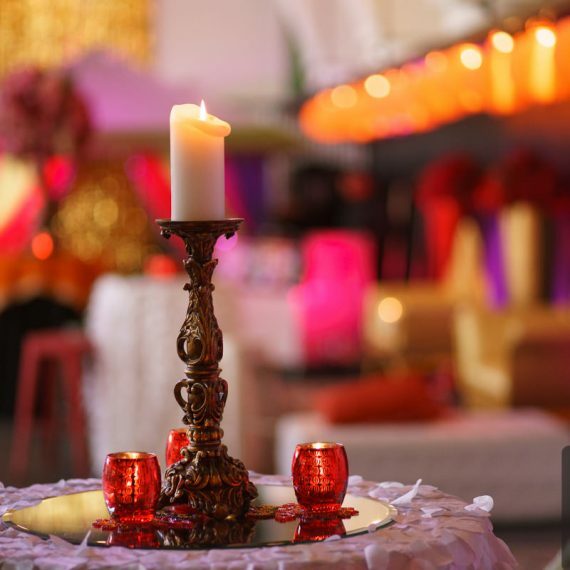 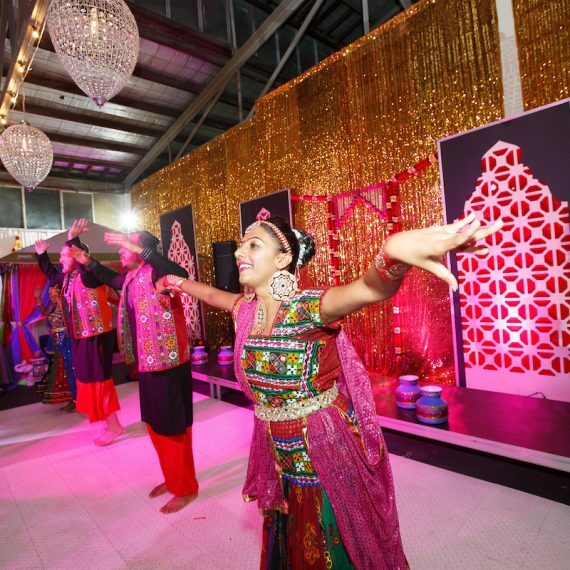 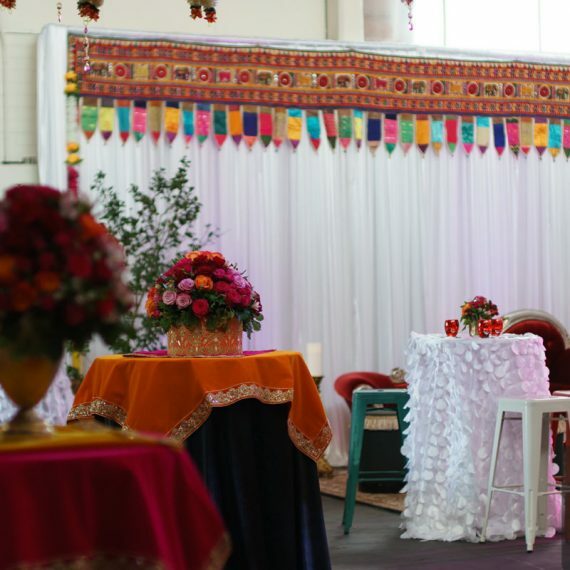 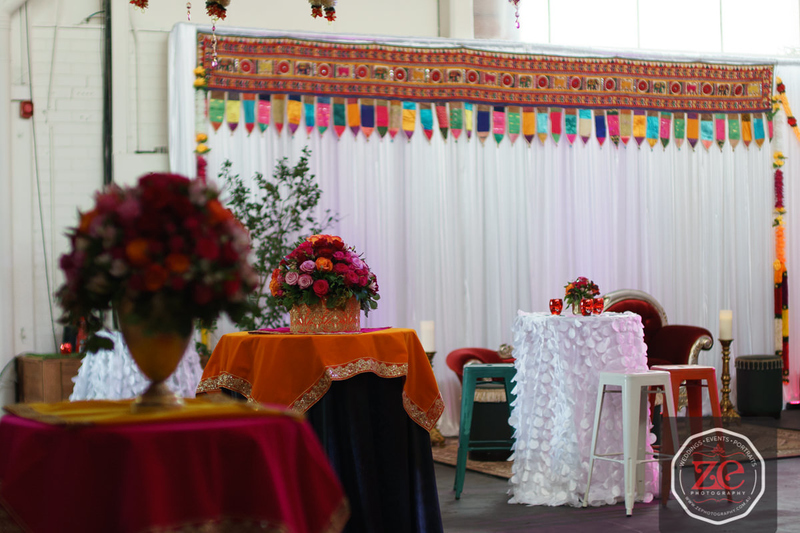 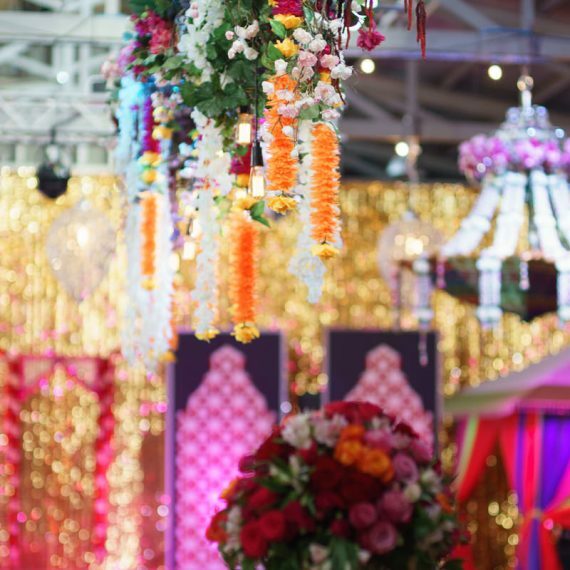 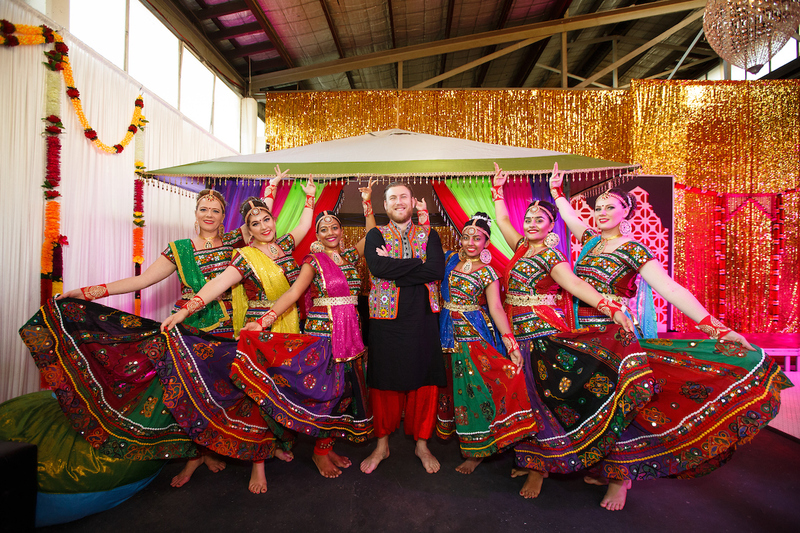 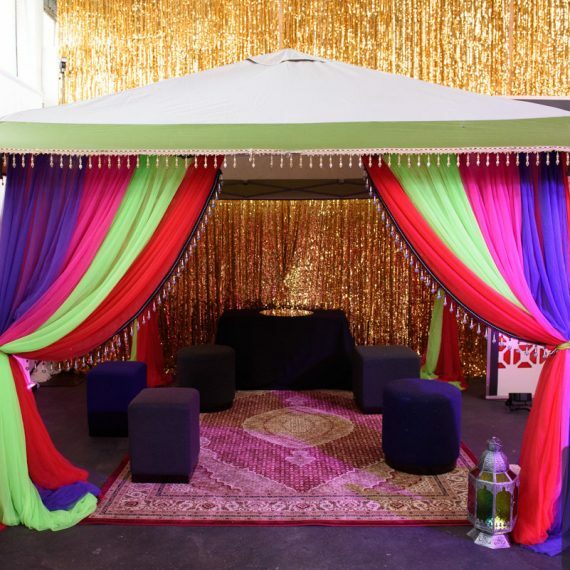 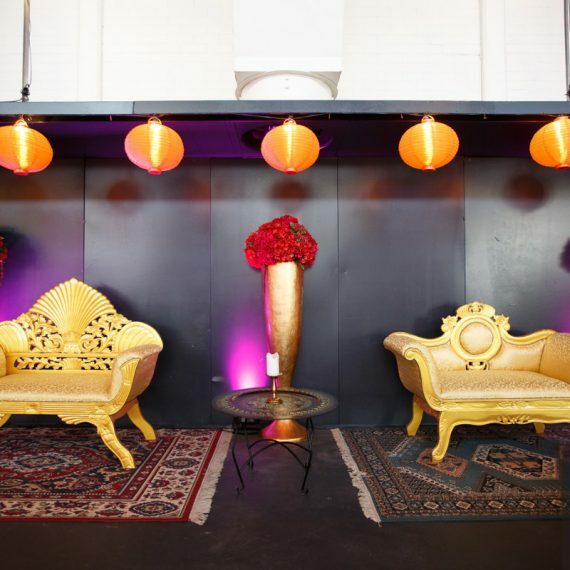 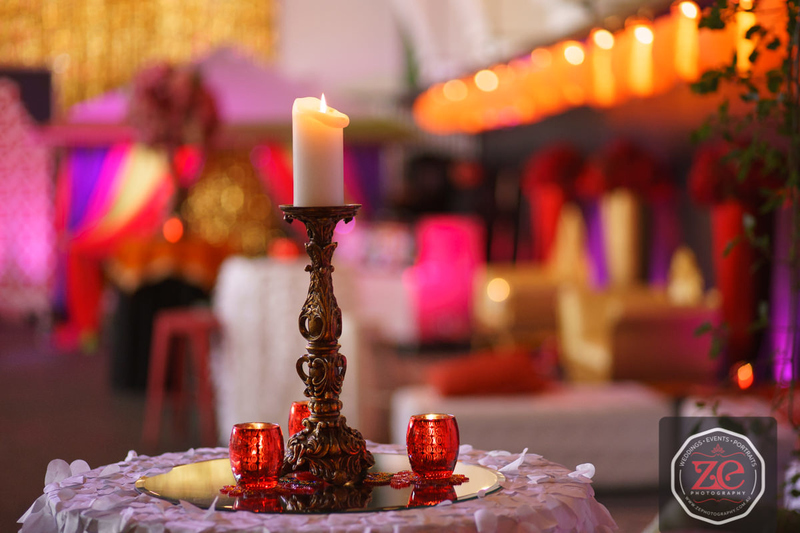 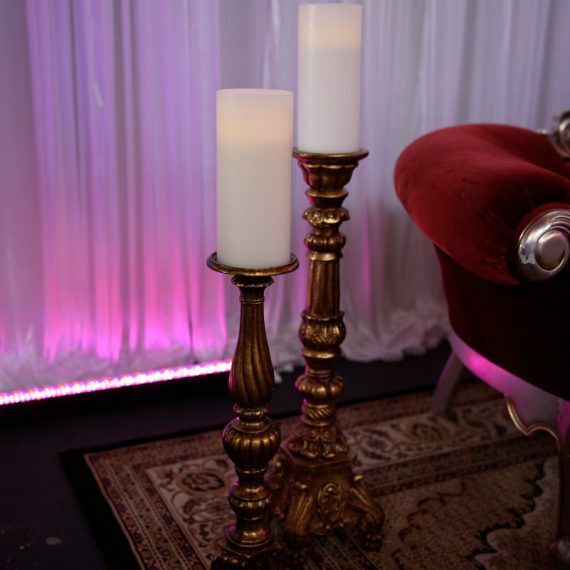 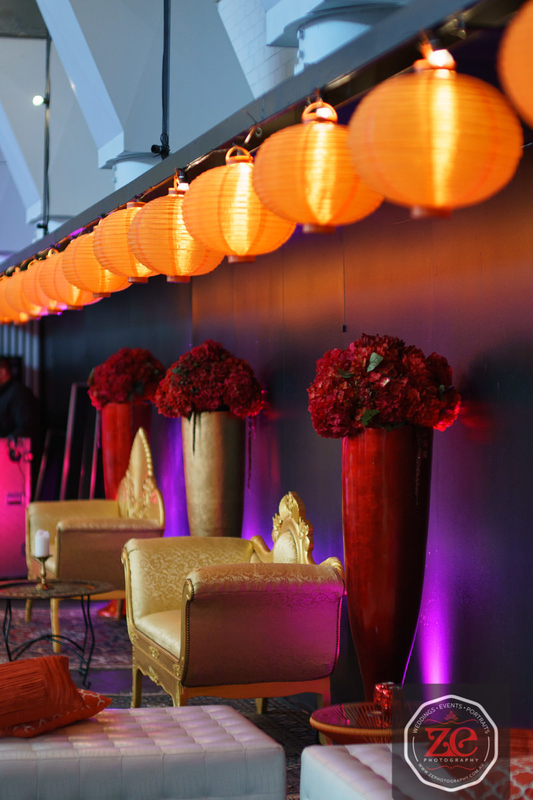 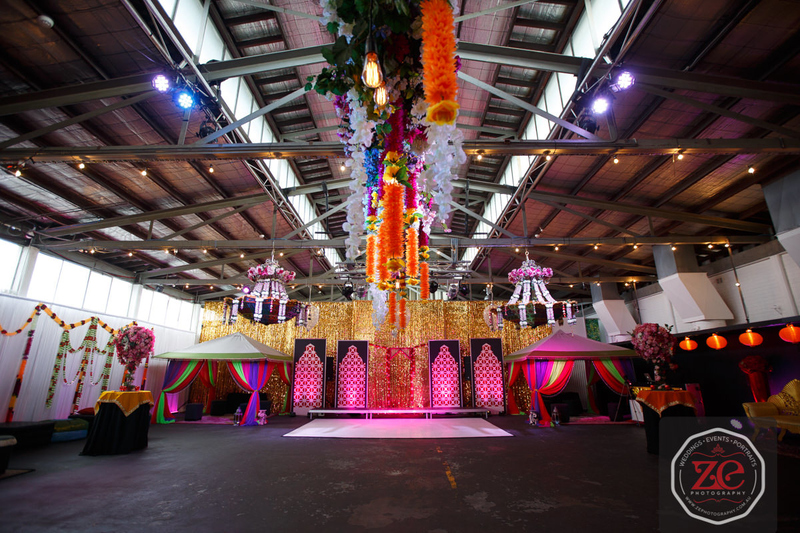 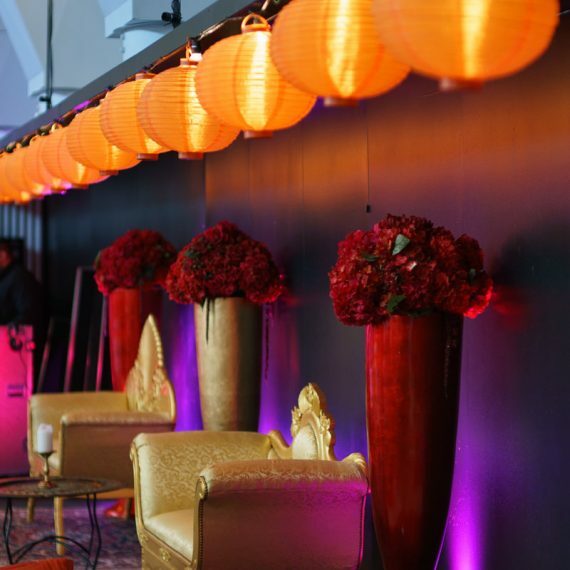 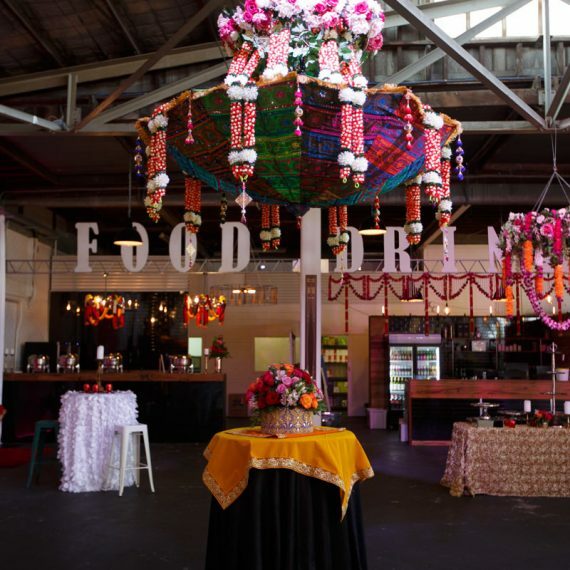 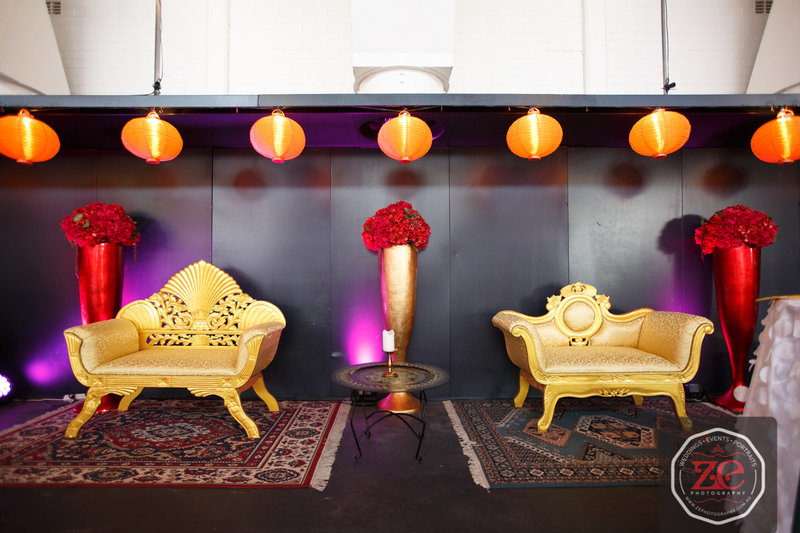 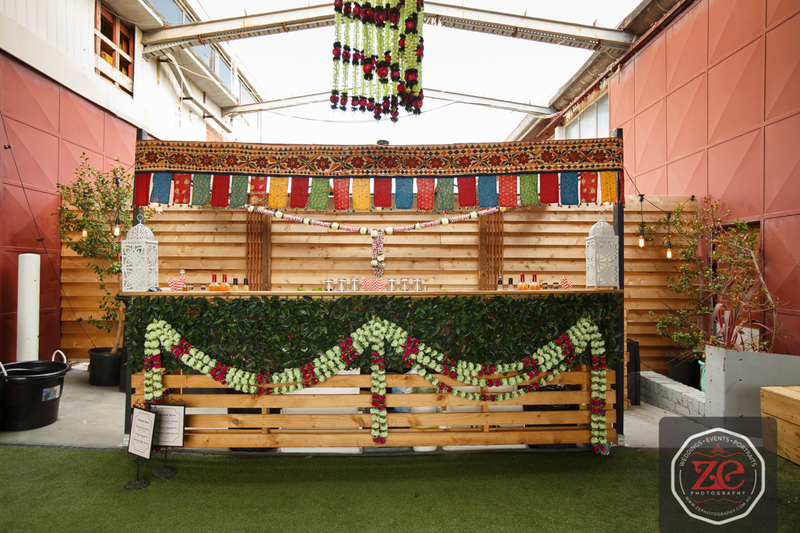 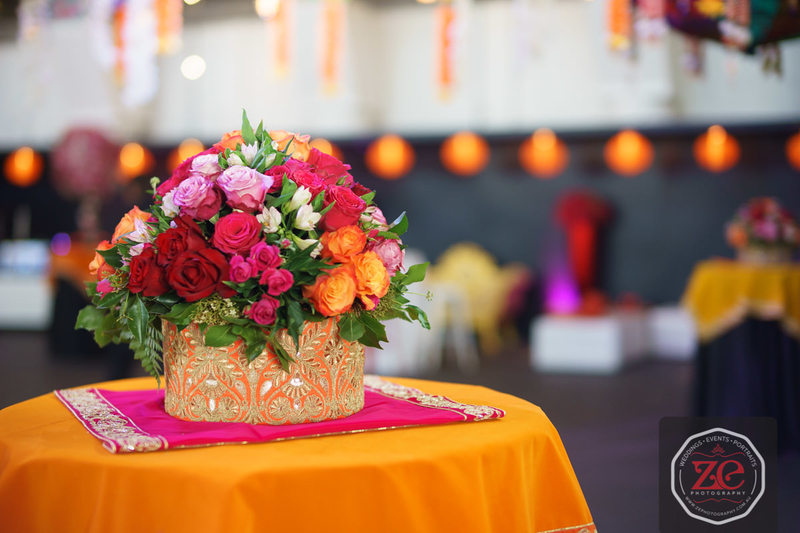 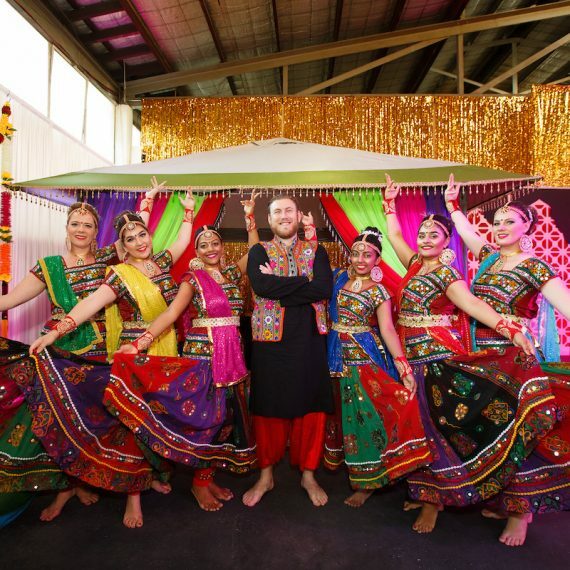 It took our team two days to transform the plain warehouse look “The Old Pickle Factory” into a fabulous and colourful Bollywood party. 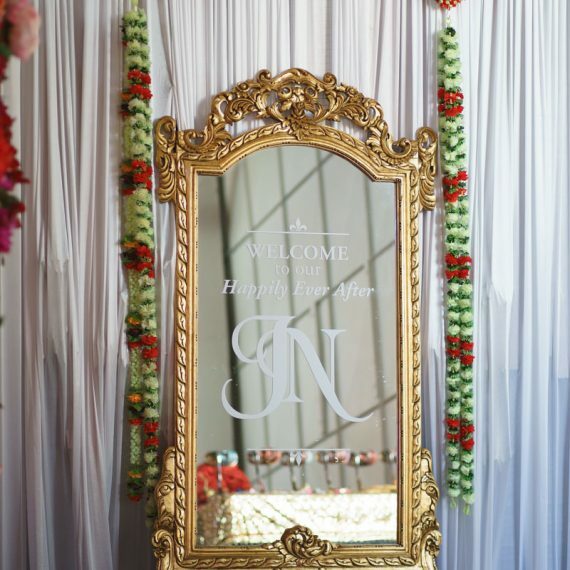 We had lots of fun working on this project for Jessica & Navin. 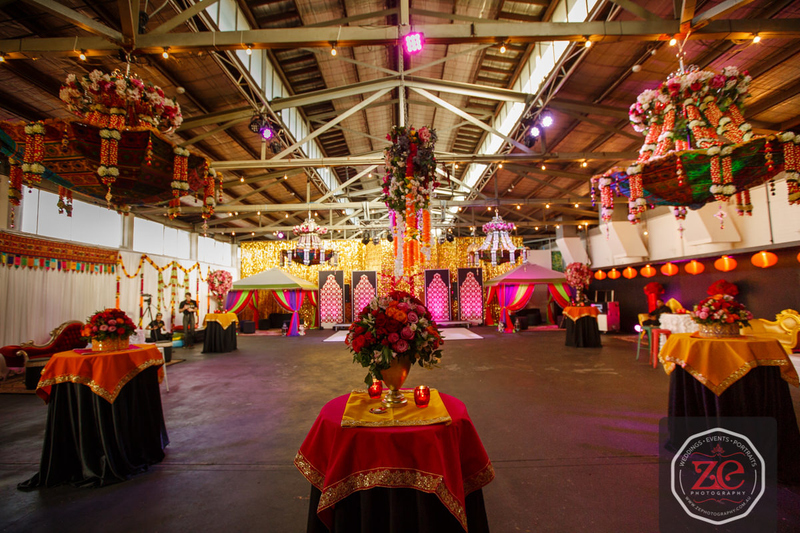 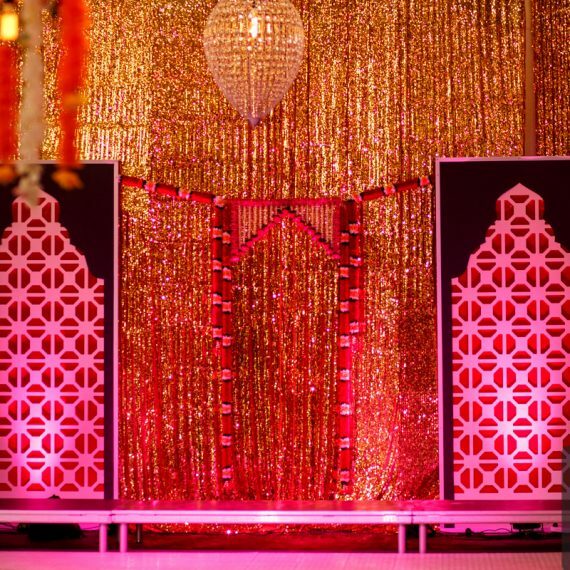 Among the many pre-wedding events that occur prior to the Hindu, Punjabi, and Gujurati wedding ceremonies, the Sangeet is where the party begins. 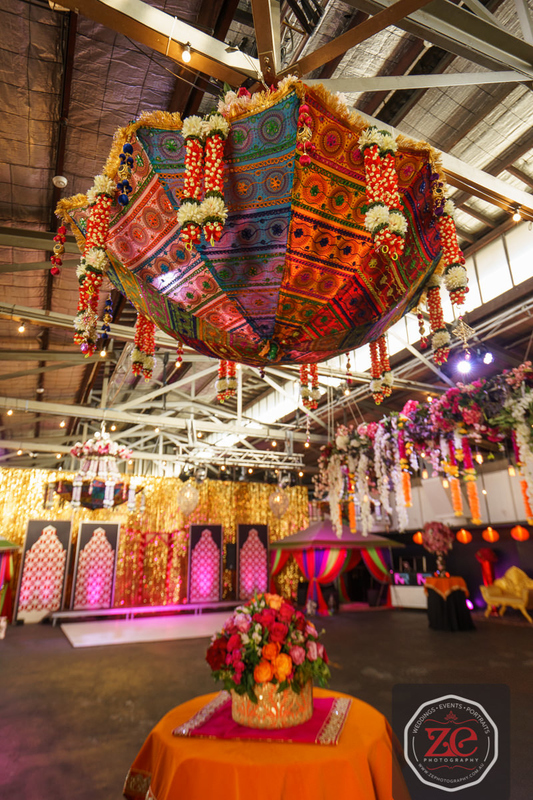 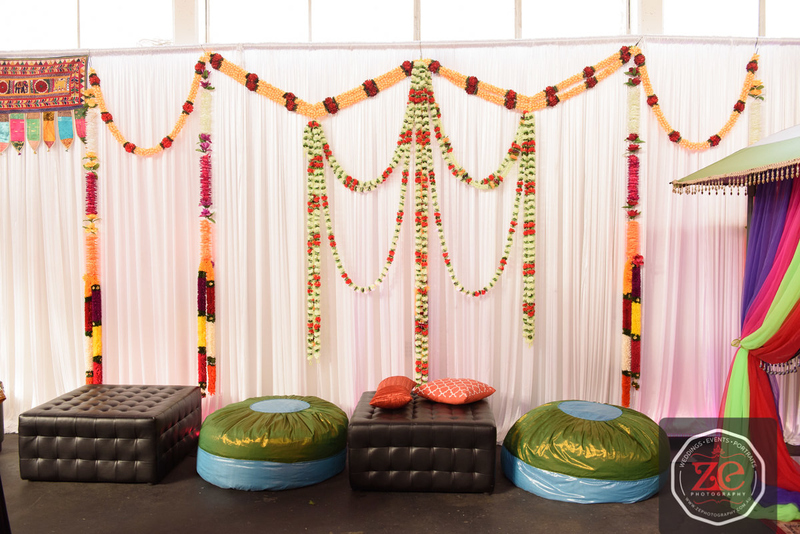 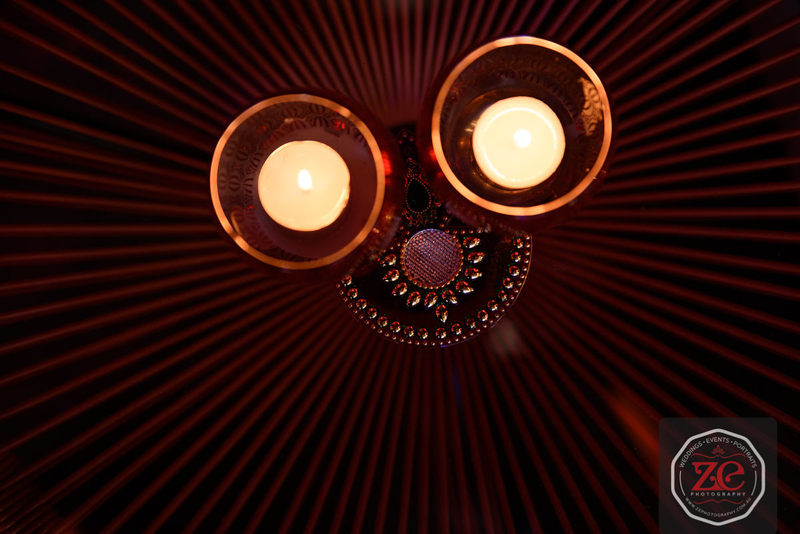 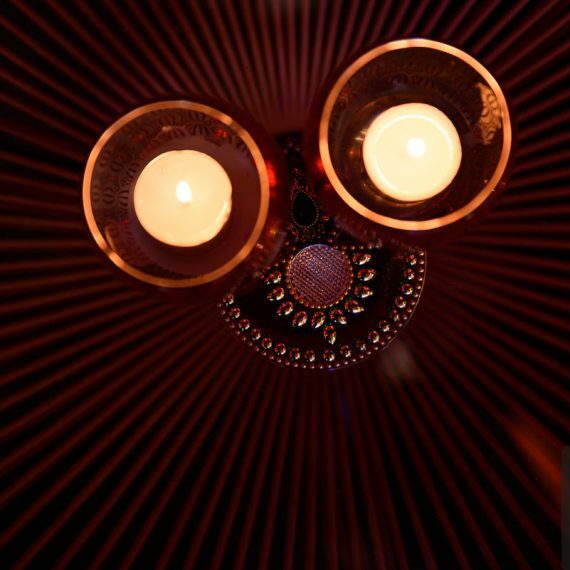 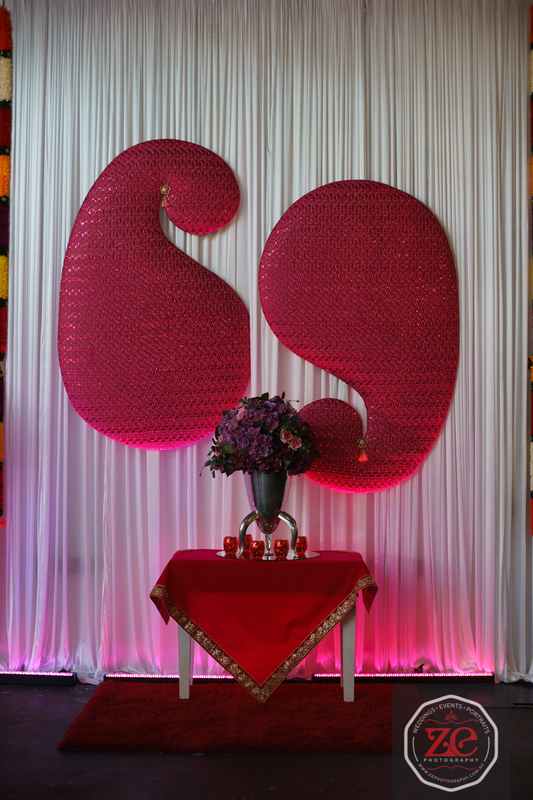 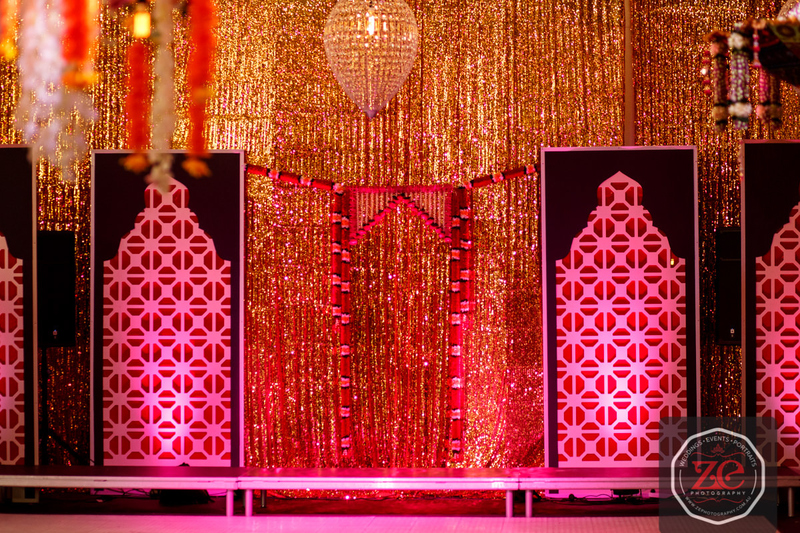 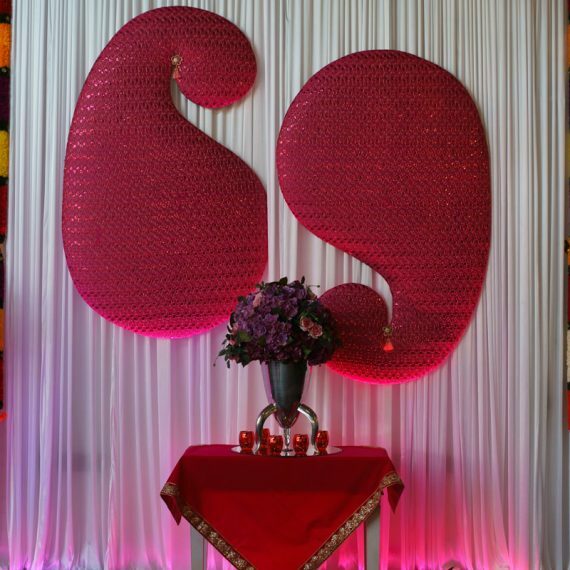 The word Sangeet translates to ‘sung together’ from Sanskrit. 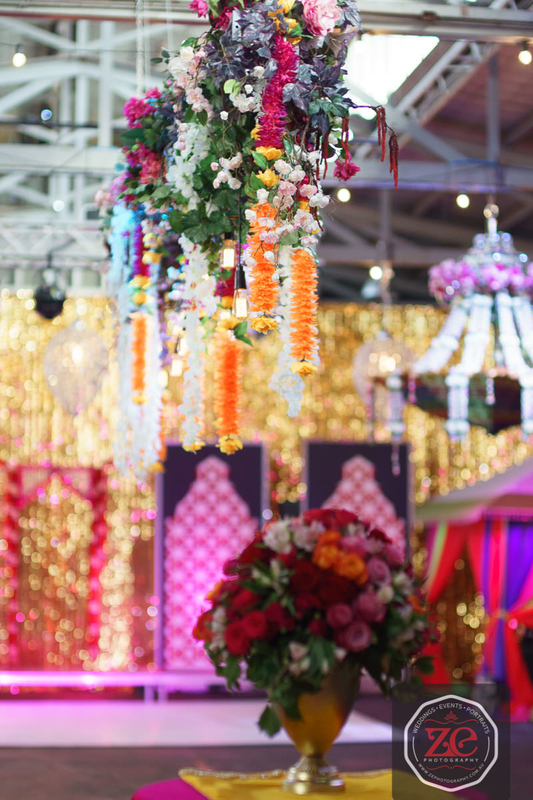 ‘Gaun’, another word used to describe the event, means ‘songs’ or ‘to sing’ in Hindi. 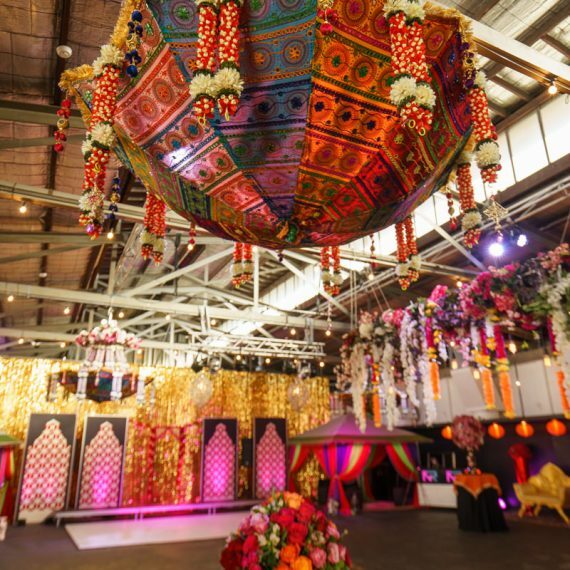 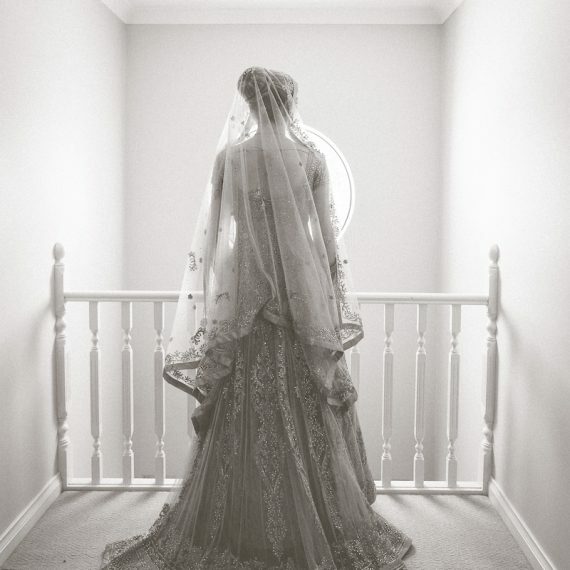 Traditionally celebrated in the Punjab regions of India, this ceremony has been adopted by many other regions as a form of celebration for the wedding to come. 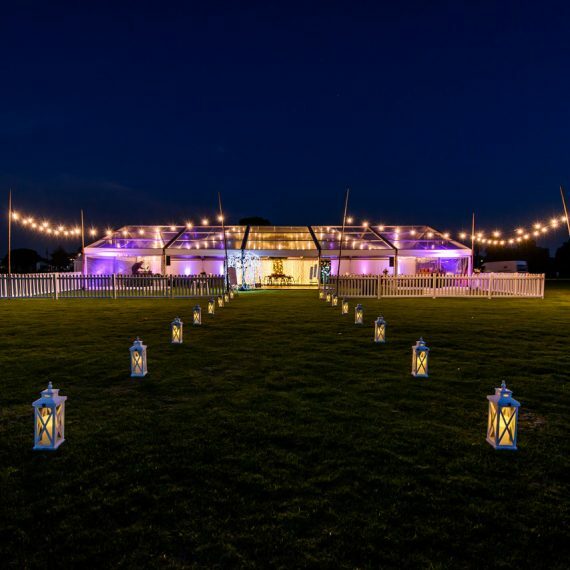 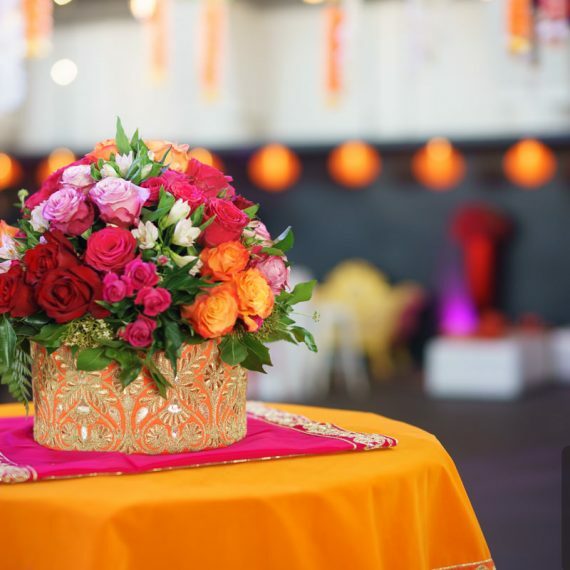 The event is formally known to comprise of only female attendees from both sides of the family, however modern times allow for men to join in on the fun too. 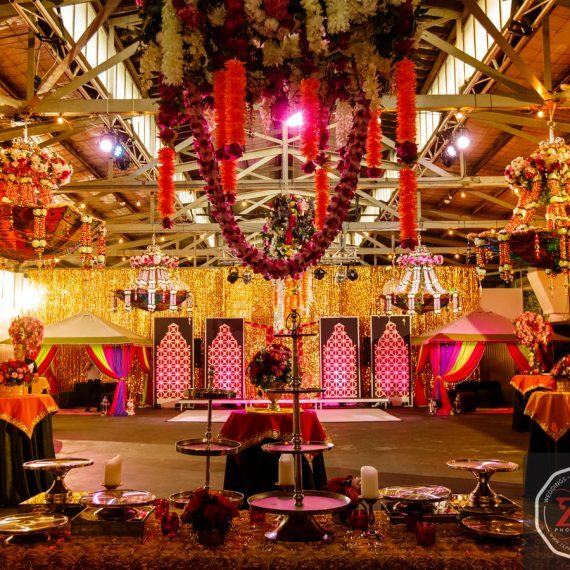 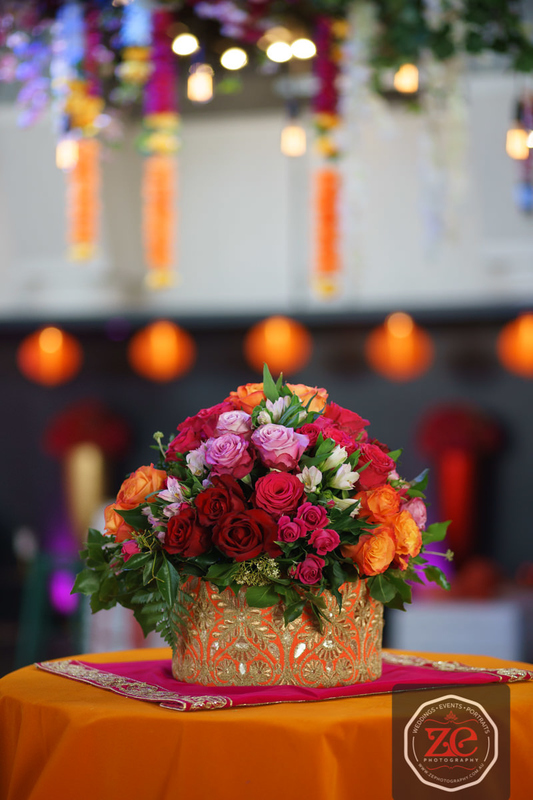 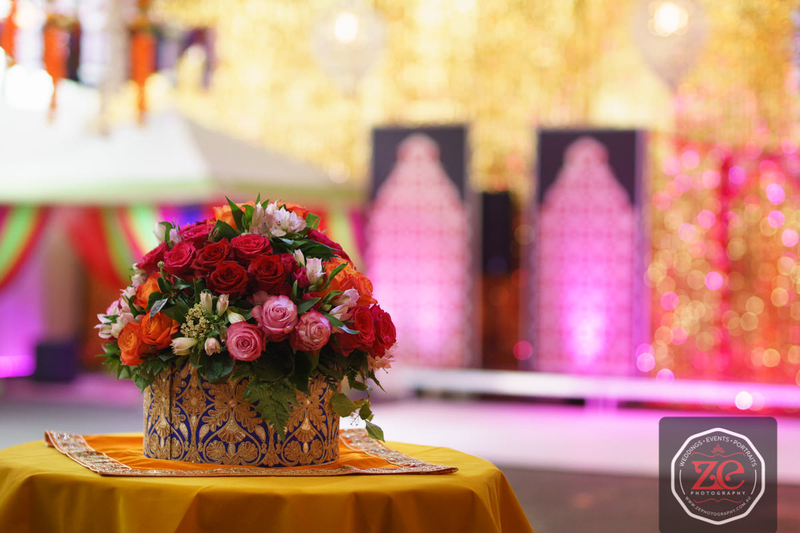 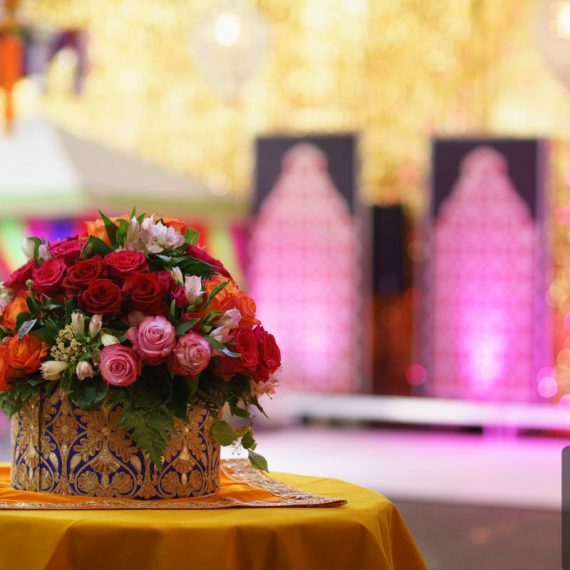 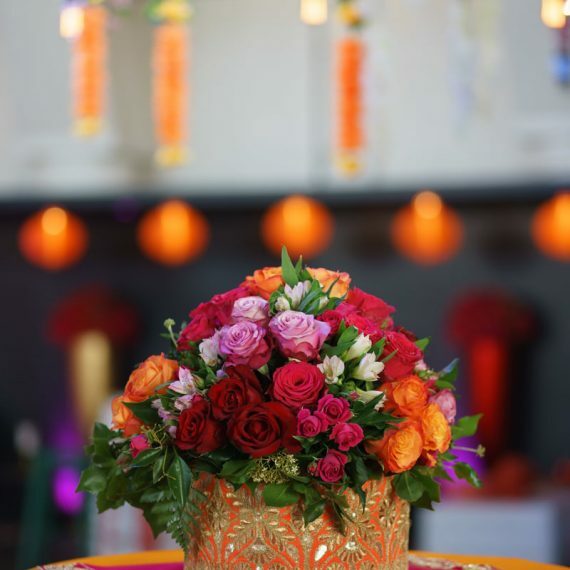 Unlike religious ceremonies such as the Haldi or portions of the wedding ceremony, the Sangeet is solely conducted to relish in the happiness and joy surrounding the couple. 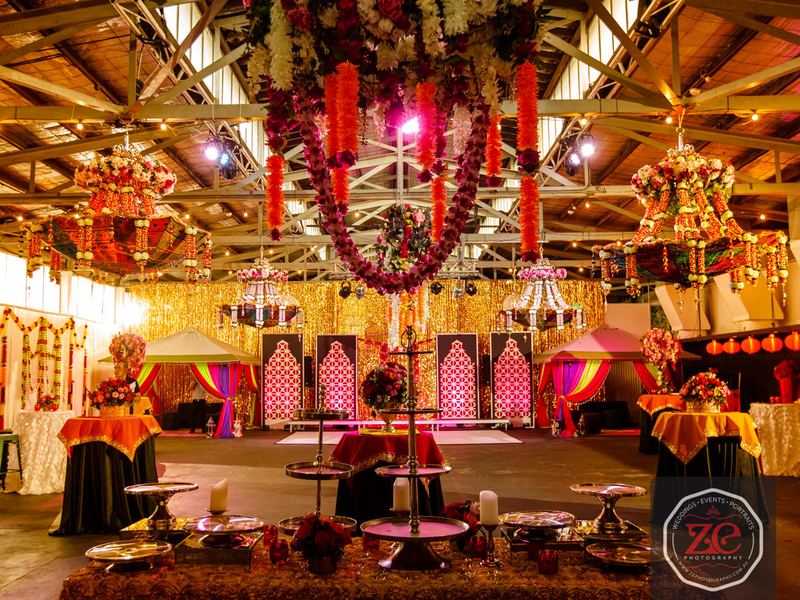 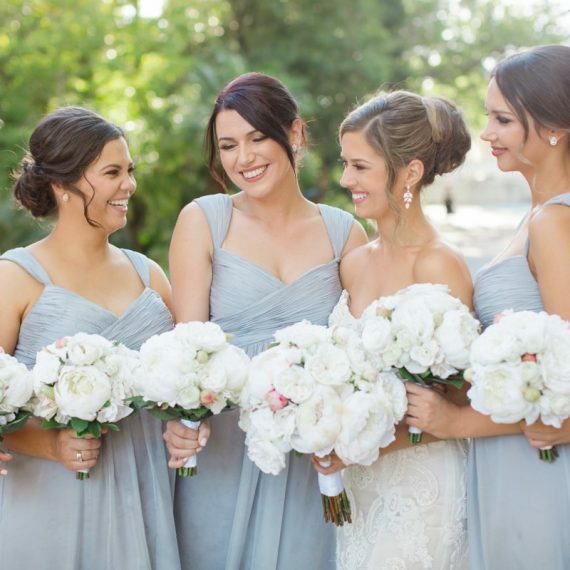 Thank you Ze Photography for sharing the photos with us.